Ball speed, incredible sensations and nervous play: that’s what you get with the Tecnifibre 305 green squash string. This string is ideal for players with a good technical level. With its thin gauge of 1.20mm, this multifilament squash string Tecnifibre 305 will delight you. You want a nervous game, and dry strikes? 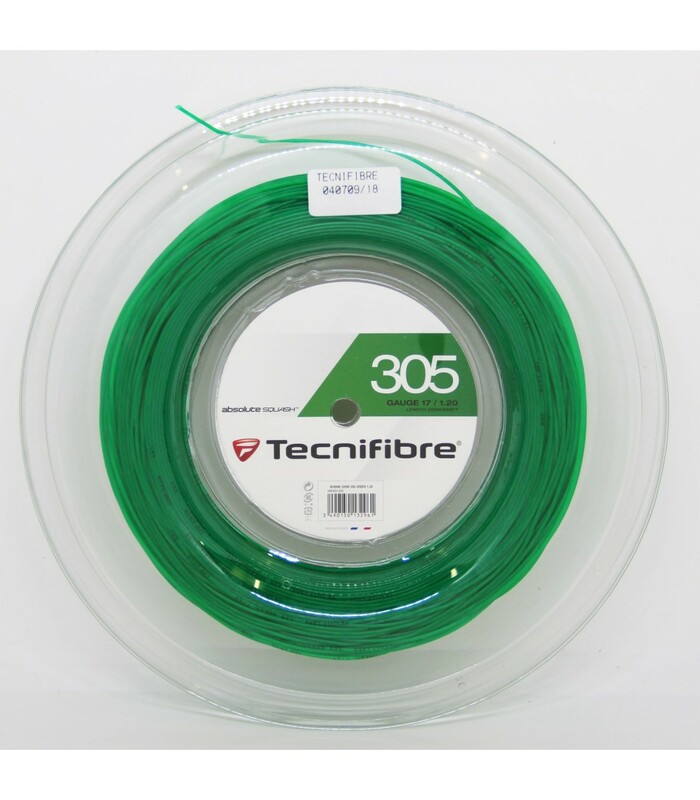 The Tecnifibre 305 green squash string is competition string made and used by competitors. With its microfilaments, the Tecnifibre 305 green squash string provides the maximum flexibility. The thinness of the Tecnifibre 305 green squash string (1.20mm) will bring power and speed to your game. 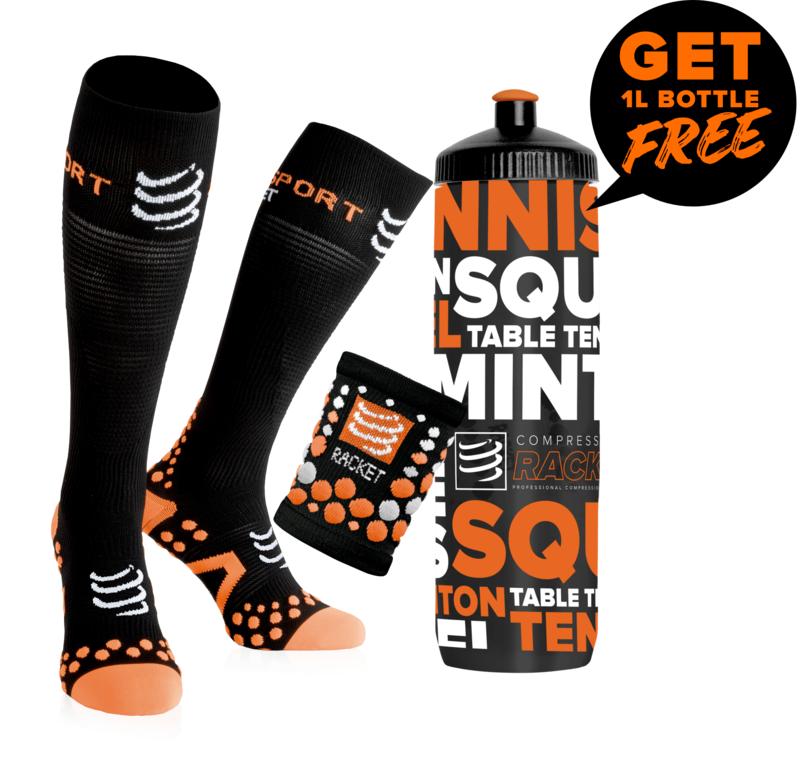 This squash string is perfect to give you unique game sensations. The thin 1.20mm gauge is perfect for players with a good technical level. Besides, the Tecnifibre 305 green squash string is also used by very good players in the world. This squash string is made of multifilament which brings speed to the game. This squash string is a high quality string and has therefore a long durability despite its thinness. If you are looking for a unique game experience, quick and nervous game, and you have good technical, the Tecnifibre 305 green squash string will satisfy you with its thinness and multi-filaments construction. The Tecnifibre 305 green squash string is the reference in the squash market and is also used by famous squash players. With its green color and elasticity, you will enjoy playing squash with this string, beautiful and performant, flexible and powerful. Comfort, durability, power, speed ball characterize well the Tecnifibre 305 green squash string. Squash rope tecnifibre 305 is suitable for all types of squash rackets.